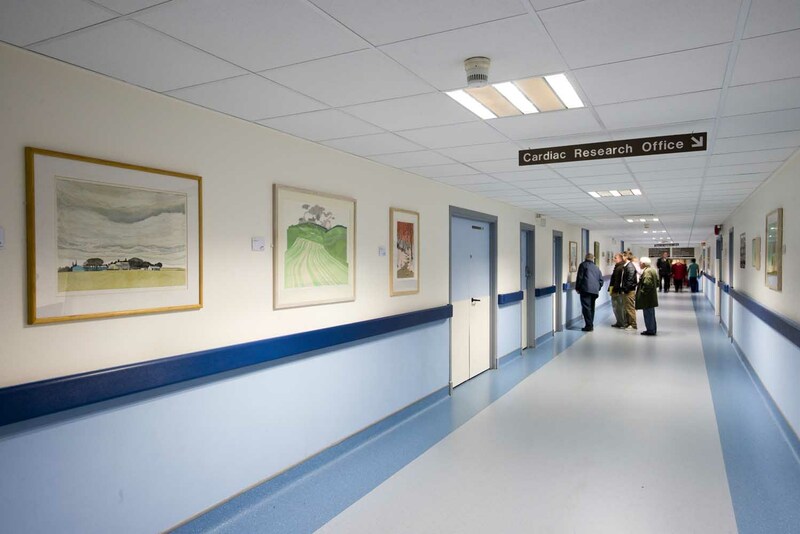 In 2012 Ailsa McWilliam curated the corridor from the ARI small gallery to the glazed section. This is a heavily used corridor traversing the hospital from east to west. 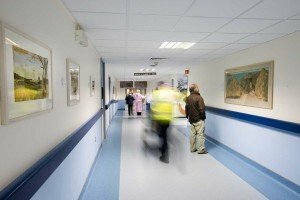 Ailsa titled this curation The Healthy Landscape. 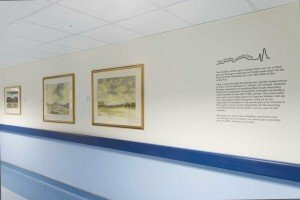 The Healthy Landscape corridor takes you on a short journey through a selection of landscapes that can be found in NHS Grampian by over 580 artists in the collection. 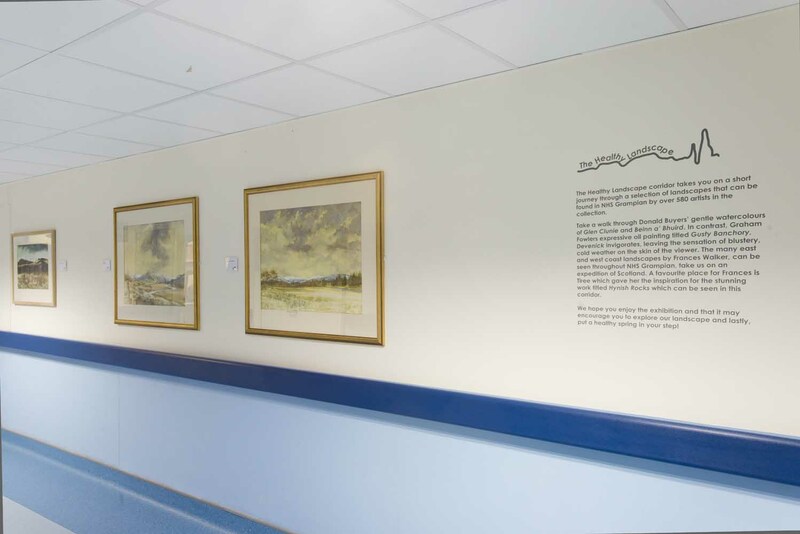 Walk through Donald Buyers‘ gentle watercolours of Glen Clunie and Beinn a’ Bhuird.In contrast, Graham Fowler‘s expressive oil painting titled Gusty Banchory, Devenick invigorates, leaving the sensation of blustery, cold weather on the skin of the viewer.The many east and west coast landscapes by Frances Walker, that can be seen throughout NHS Grampian, take us on an expedition in all areas of Scotland. A favourite place for Frances is Tiree which inspired her to print the stunning Hynish Rocks and Raised Beach which can be seen in this corridor.